Memphis was a home underdog against No. 25 Cincinnati, had a hot shooter and an 11-point, second-half lead. So what the heck happened? Memphis senior guard Jeremiah Martin was channeling his coach, Penny Hardaway, Thursday night against Cincinnati. "You can't guard me! Secret service couldn't guard me! <a href="https://www.youtube.com/watch?v=4MGX0h7eNhU" class="embedly-card" data-card-width="100%" data-card-controls="0">Embedded content: https://www.youtube.com/watch?v=4MGX0h7eNhU</a> The Tigers, behind Martin, had a double-digit second-half lead. So how the heck did the fail to cover getting 4.5 points? I'll give you a hint: It didn't happen on a buzzer-beater that shouldn't have counted. You know, like [this](https://www.betchicago.com/college-basketball-bad-beat-iowa-state-bettors-crushed-oklahoma-feb-4). And [this](https://www.betchicago.com/college-basketball-bad-beat-villanova-bettors-lose-creighton-feb-6). But it was still pretty bad. __MORE:__ [Refs to review buzzer-beaters in NCAA tourney, regardless of score](https://www.betchicago.com/referees-review-buzzer-beaters-ncaa-tournament) ## Memphis-Cincinnati bad beat The [Tigers lost 69-64](https://www.thescore.com/ncaab/events/144322), and they had the final shot. But Martin, who was 8-for-14 from 3-point range while the rest of the team was 2-for-15, didn't take the last shot. Nope, Reynere Thornton, who had one point in the game, hoisted it from downtown with Memphis in panic mode -- and missed. 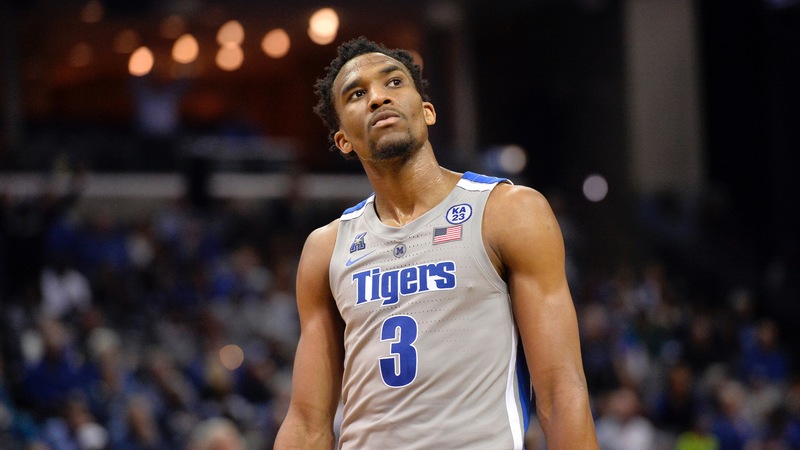 Martin, who scored a game-high 26 points, hit a 3 with 14 seconds left to make it a three-point game, but the Tigers (13-10, 5-5 AAC, 11-11-1 ATS) didn't get back on defense and Keith Williams got an easy layup with 10 seconds to play for the game's last points. The Bearcats (20-8, 9-1, 12-11) [won their eighth straight](http://theamerican.org/standings.aspx?path=mbball), but trailed by 11 1:04 into the second half after Kyvon Davenport's 3-pointer. Cincinnati tied it at 46 the 9:41 mark, but Martin hit two 3s to make it 52-46 Memphis with 7:15 to go. But the Bearcats scored the next 12 points and never trailed again. And that was it, [and we couldn't do nothing about it](https://www.youtube.com/watch?v=QL1uocoRgnM). <a href="https://www.youtube.com/watch?v=7XBaC8IMSm4" class="embedly-card" data-card-width="100%" data-card-controls="0">Embedded content: https://www.youtube.com/watch?v=7XBaC8IMSm4</a> __PLAY:__ Our [free contests](https://betchicago.chalkline.com) for a chance to win a BetChicago prize pack.